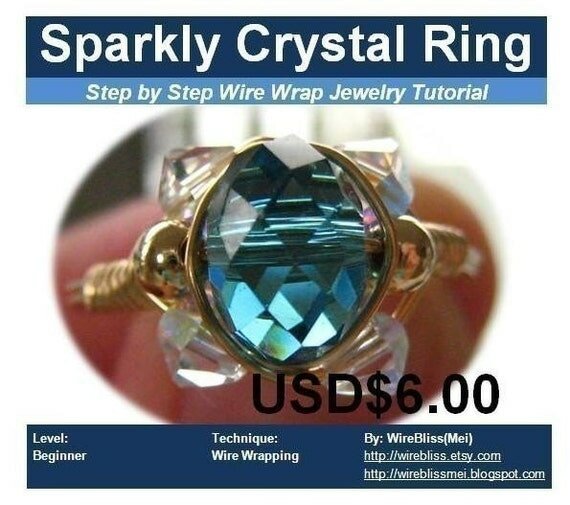 For those who always do things last minute, just like me, here are my recommended last minute Quick and Easy wire jewelry projects for you. They are all available at my Etsy Shop. 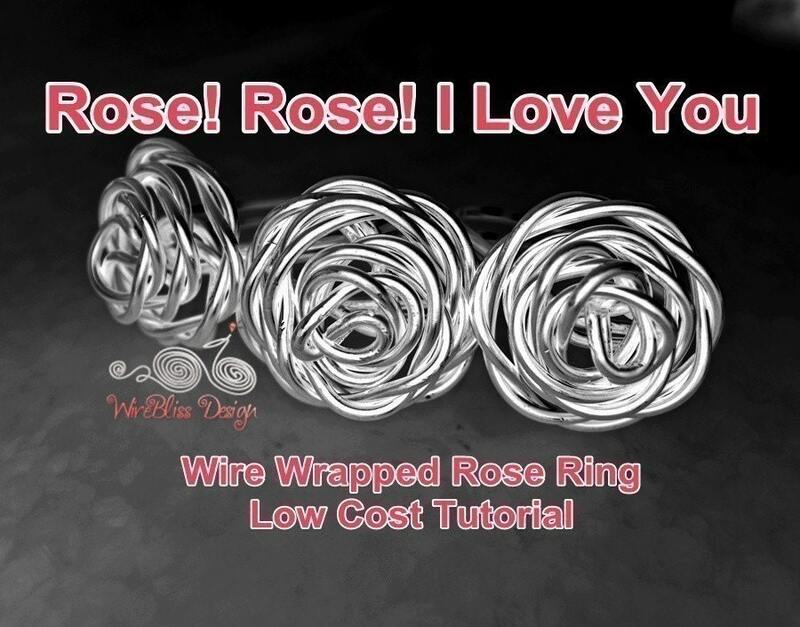 Wire Wrap Rose Ring - 30 minutes. Real simple and easy to make. It's given me a few ideas for new flowery items! Good description, easy to follow...thanks! Excellent tutorial: detailed & very well-illustrated. Very simple design - described well &easy to follow! Wow, brilliant design, so simple yet very elegant! I'm a beginner and made this in 30 minutes. Instructions were very clear. Thanks. Very Fun to learn & do!!! Thank you!! 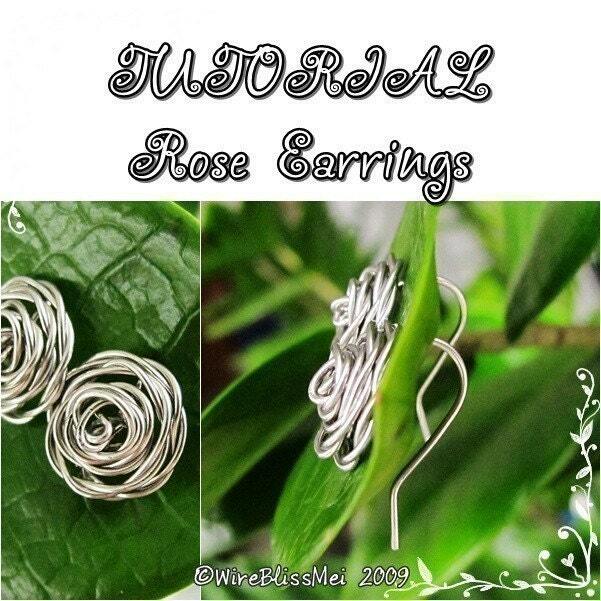 Not a day has passed from buying tutorial and I have a new pair of earring already! Such fun to make and very easy instructions to follow,thank you. Easy and looks great. I'm a beginner and made a pair in less than 30 minutes. The finished look is very professional. Will make more to give away as presents. Easy to understand!!! I made my first pair already! I love it!!! Thank you. I've made several pairs of these earrings for birthday gifts -- my friends love them! Clear step-by-step instructions with lots of good photos. Love the cute earrings that can be made with them. Very well put together Tutorial, WONDERFUL PICTURES... 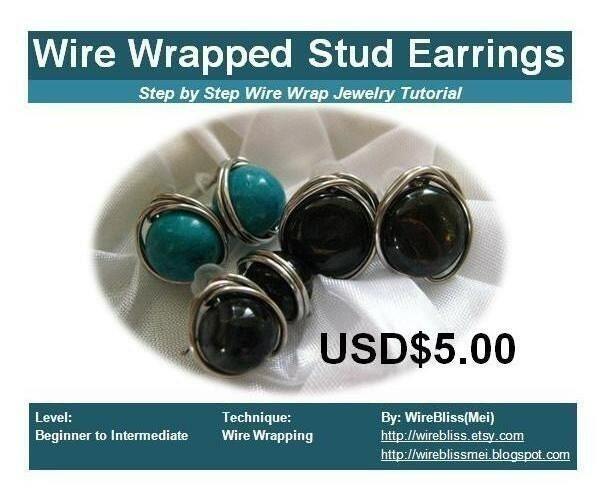 I have always liked this type of stud earring,now I have made several pairs already, lots of fun! Very concise and clear instructions. The photos are enough to get the idea from. Very well documented tutorial. Tutorial has clear step-by-step photos, all in color, and looks super easy. I know what I'm giving as gifts this holiday season! 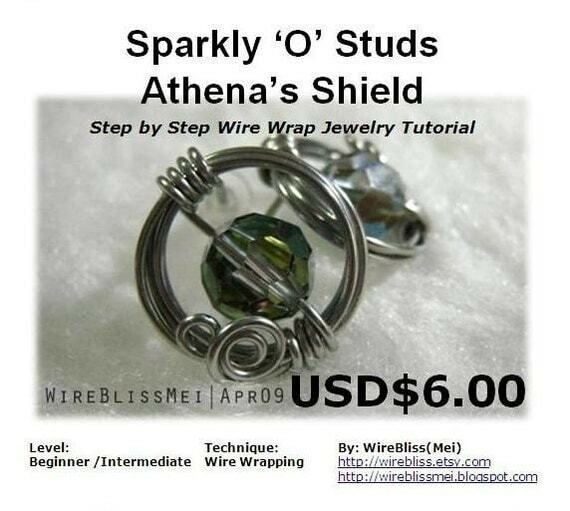 Labels: Bracelets | Cuff , Earrings , Rings , Tutorials for a Fee , Wire Jewelry Share it! Great tutorials Mei...I've the first two...and have actually made them! They are well written and photographed tutorials!